Samsung has big expectations for the Galaxy S10, and it is leaving no stone unturned in its quest to boost sales of the device. Like always, the Korean firm has initiated an attractive trade-in program for the Galaxy S10. However, instead of helping consumers, the Galaxy S10 trade-in program is leaving many frustrated. Samsung has provided clear instructions for the Galaxy S10 trade-in program on its website. Trading in an eligible device allows users to save up to $550. Eligible devices must be able to power on, have no cracks, not be blacklisted, and be reset to the factory settings. Different offers are available for different devices. Samsung is offering the full $550 on the exchange of a Galaxy Note 8 and Note 9, the S9/S9+, the iPhone X/XS/XR, the LG V40, and the Pixel 3/3 XL. On other handsets, the company is offering $300, $150 or even less. The discounts are available at checkout. Buyers must ship the device they are trading in within a week of making the purchase. Although the process sounds easy, many consumers are complaining that Samsung is not properly executing their trade-ins. Some say the company is charging them more money, citing non-compliant trade-ins, according to Android Police. Why is Samsung rejecting trade-in devices? A common issue many consumers are reporting is that Samsung claims they sent in a different handset than what they said they were going to send in. Many consumers have complained about this on Samsung’s product forums, Reddit and other social forums. One user even photographed the device before packing it up and claims to have received the same message from Samsung — that the device sent does not match the declared one. There were two other very interesting cases of this as well. In one, Samsung told the person they never sent any device, while in the second, the company claimed it received a keyboard instead of a Galaxy Note 9. Samsung even sent photos of the keyboard in question. Some buyers say their device was rejected because it didn’t meet either the factory reset or power-on rules, while others say their trade-in was rejected for not meeting both rules. On not meeting both the factory reset and power-on rules, Samsung can be questioned as to how it checked the phone’s status if the device couldn’t be turned on. “So my phone I sent Samsung for trade-in reportedly doesn’t boot into the home screen normally and hasn’t been factory reset AND doesn’t TURN ON. Simple logic tells me that that particular combination isn’t possible. Called Support and they weren’t able to verify their own claims,” one user tweeted. In one case, the buyers was told the phone was not factory reset and was cracked. However, this particular customer had video evidence that the phone was in perfect condition and was reset when it was put in the box. Samsung does not allow buyers to reject a trade-in offer and get their old device back instead. This means they have no other option but to go ahead with the trade-in even if they sent a Note 9 and Samsung claims it received a keyboard. On the other hand, there is no way to verify the consumers’ claims. However, the fact that so many are making similar claims is enough to suggest something must be wrong on Samsung’s end. The fact that users have faced similar issues with Samsung’s previous trade-in offers doesn’t speak well for the Korean firm. There have been many complaints in the past. For instance, one person faced a similar issue when buying a Note 9 by trading in a Galaxy S9+. At the time, the buyer was informed that instead of sending a phone worth $550, they sent a $50 phone. However, the customer took the issue to the Better Business Bureau, and after five months, finally received a decision in their favor. Samsung returned the $550, but in the form of a Virtual Visa code. “Unfortunately, I ignored the warnings from all of those people who had issues with Samsung trade-ins and participated in that promotion. Today marks the end of a 5-month journey to get proper credit for my Samsung trade-in,” the person said. Many users reported similar trade-in issues at the time the Galaxy S8 was released as well. 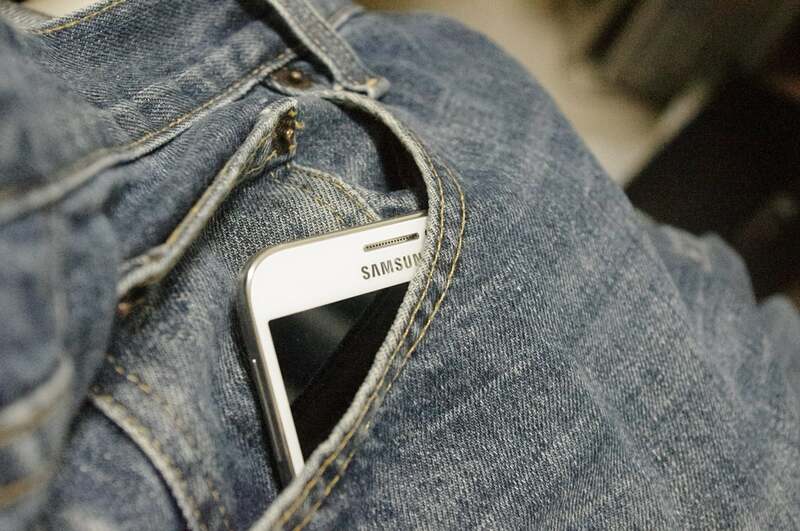 At the time, Samsung offered a $200 discount on almost any device that was traded in.